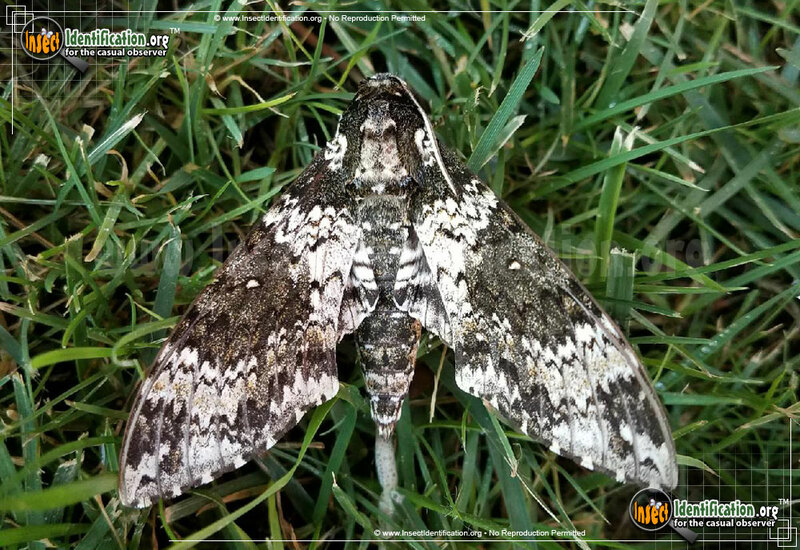 Detailing the physical features, habits, territorial reach and other identifying qualities of the Rustic Sphinx Moth. 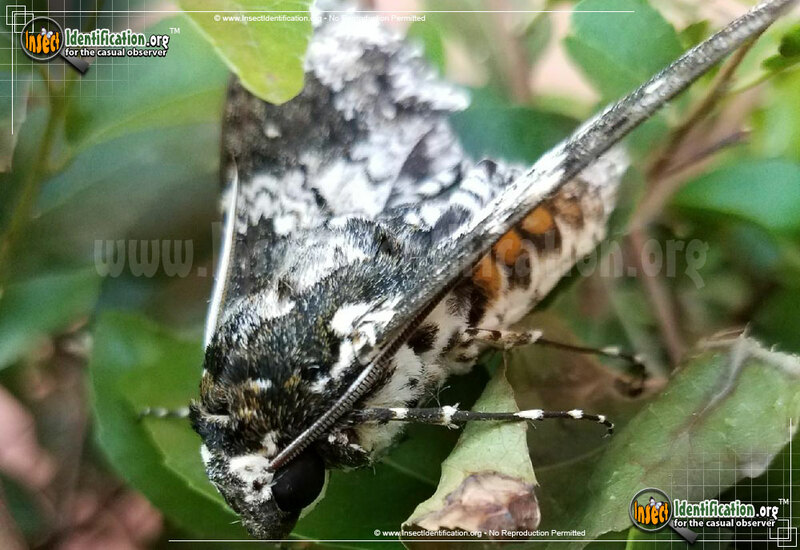 The salt-and-pepper Rustic Sphinx Moth is a big and beautiful specimen that prefers southern latitudes and sea-level altitudes. This striking, mammoth-sized moth is a member of the Sphinx family. 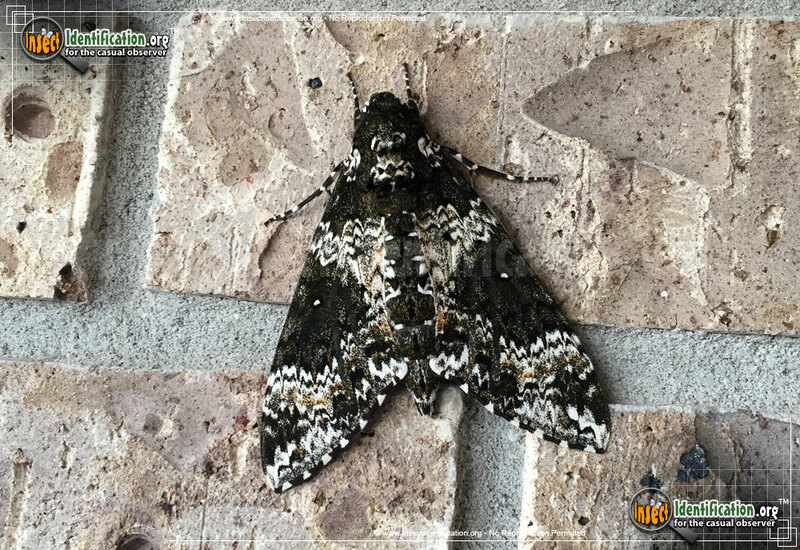 The rich black and white speckled coloration of the Rustic Sphinx Moth is contained by sharp, short white 'dashes' on the edges of its hind wings. Hairy legs add to its charm. 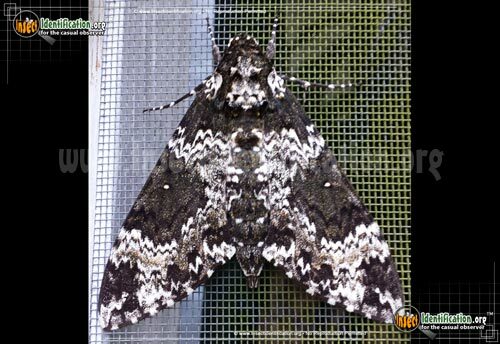 The mottled coloration, if looked at closely, reveals a zigzag pattern crossing the body from left to right. A small white dot is centered on each forewing. The caterpillar of this moth is a bright green color. It is smooth, lacking bristles. 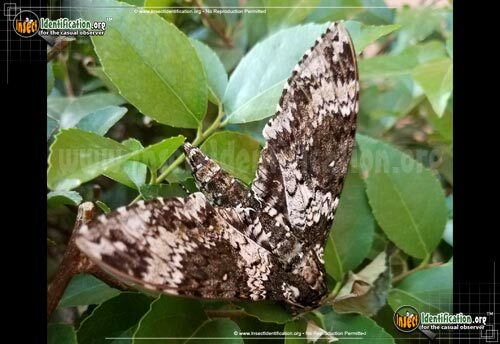 It has seven distinctive black and yellow stripes on each side, almost like slashes. Its gray face adds the only other color to the palette. 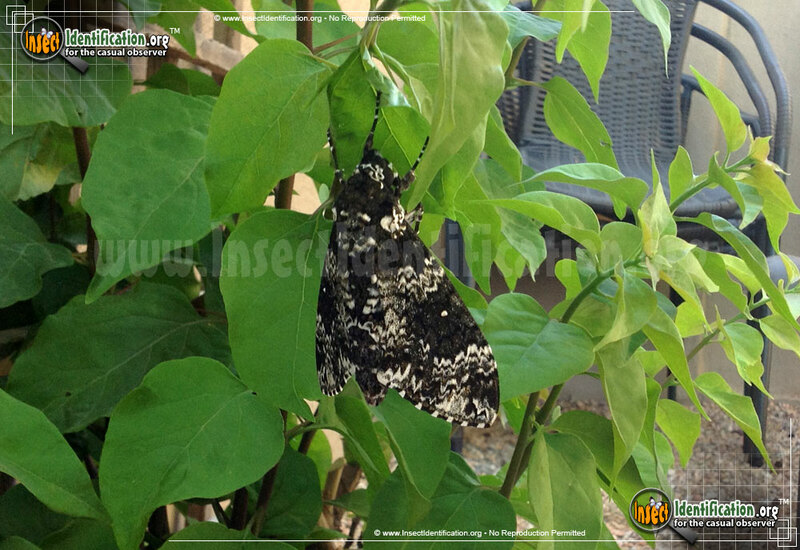 The caterpillar eats the leaves of a variety of plants, adding to the adaptive nature of the insect. This moth is well adapted to various types of warm climates. It can be found in arid, temperate and even tropical areas. It is most active at the end of summer and into fall when temperatures are at their highest in North America. Bougainvillea, petunias, and other aromatic flowers make fine places to observe them.